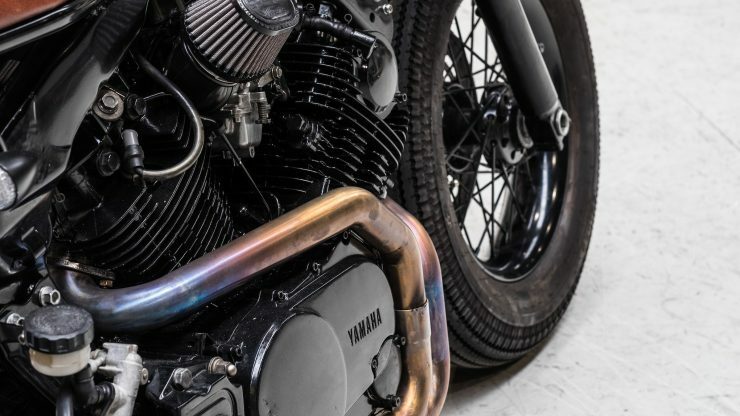 The Yamaha TR1 was developed to appeal to the motorcyclists who had been left behind by the great UJM arms race – not all riders wanted a high revving inline-4 that’d snap your neck if you grabbed a little too much throttle. 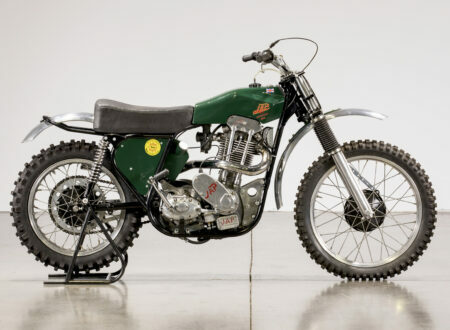 Many riders wanted a bike that favored torque over high-RPM horsepower, a more upright riding position, and a simpler engine that they could work on themselves. 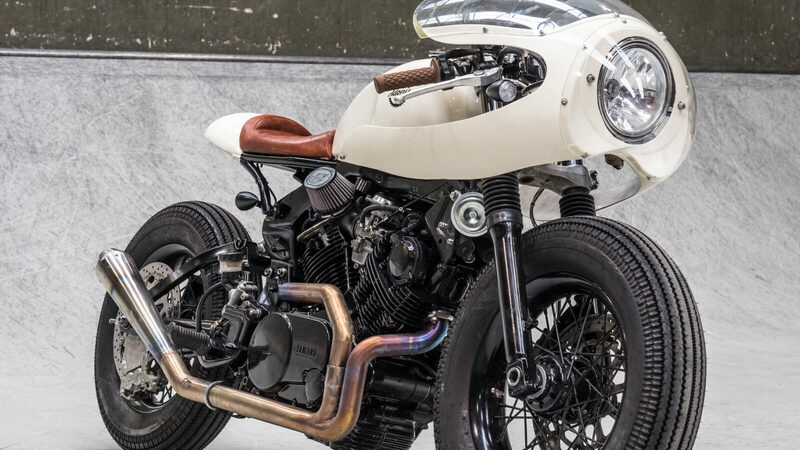 I’m convinced that Yamaha designed the TR1 with a Vincent Black Shadow parked in the design studio – with a briefing that the new bike should be a modern version of the same. 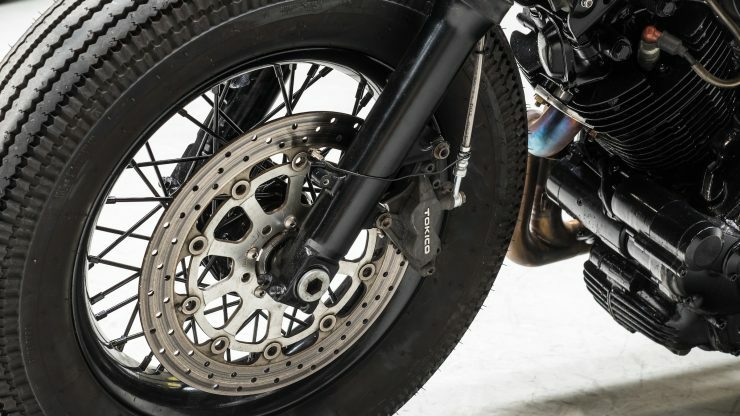 Both motorcycles have load-bearing V-twins, with a steel backbone frame, a unit construction engine with vertically split crankcases, and an interesting cantilever-style rear suspension. 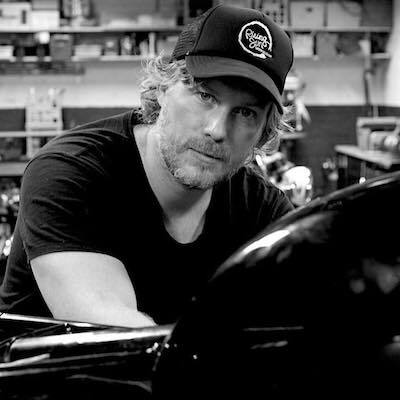 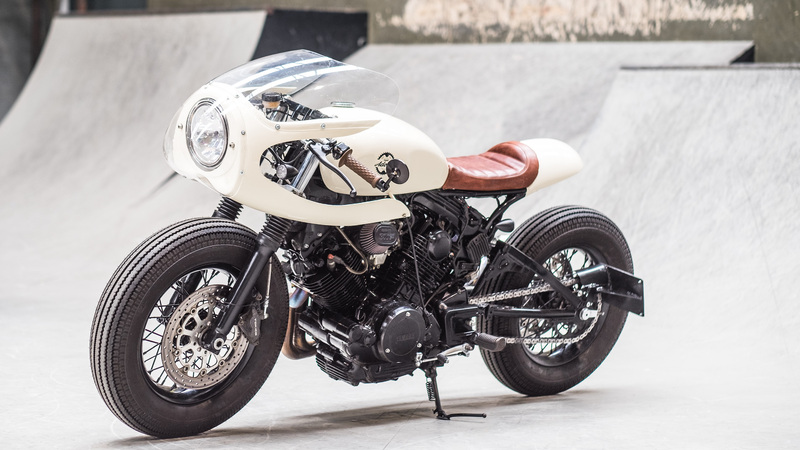 The one area where the Vincent and the Yamaha differ greatly is in their visual appeal. 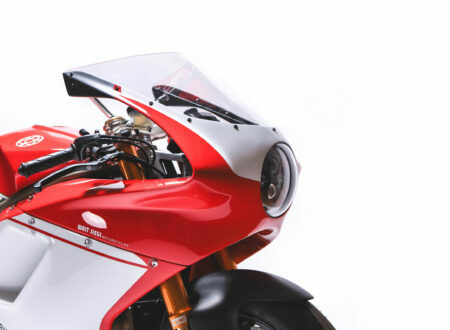 The British bike is widely considered one of the most beautiful of all time, and it had performance so significant it was still winning races 20 years after it left production. 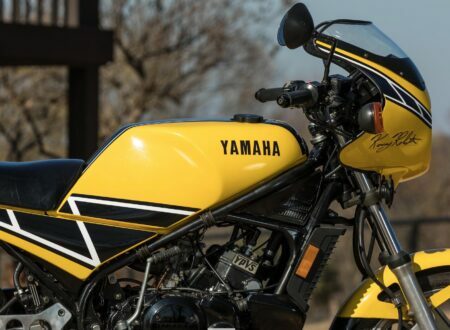 The Yamaha TR1 is not a particularly attractive machine. 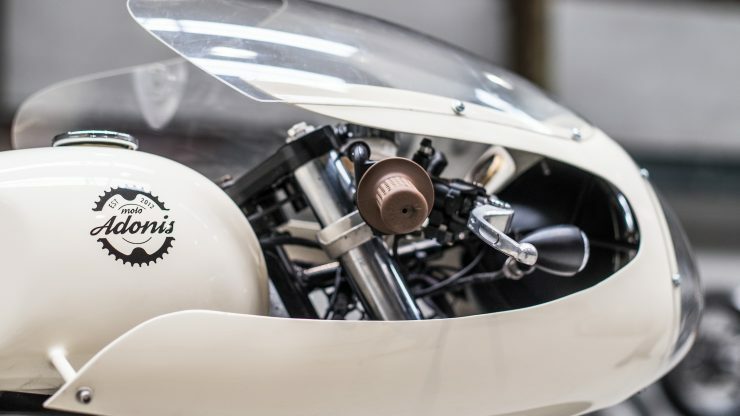 In fact I’m convinced that once the engineers had finished developing the beautiful engine, frame, and suspension they handed the rest of the design off to a right handed Basset Hound with a crayon taped to its left paw. It’s almost certainly the styling that let the TR1 down, and resulted in it not being a sales success in any of the markets where it was offered. Sales were abysmally slow from the start – although period motorcycle magazine reviews were mostly positive about the new Yamaha twin. The 983 cc SOHC V-twin is an excellent engine by all accounts, with 69 hp and 59 ft-lbs of torque. 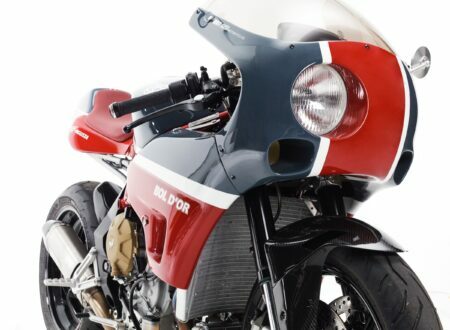 Top speed is 190 km/h, and as a sport tourer it provided stiff competition for the bikes being produced by brands like BMW. 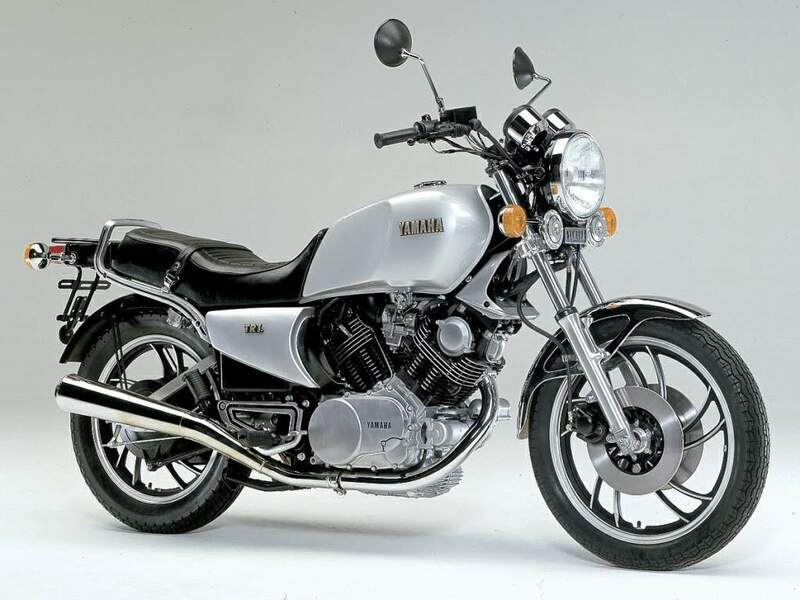 Yamaha sold the Tr1 for the 1981, 1982, and 1983 model years before slow sales forced its cancellation. 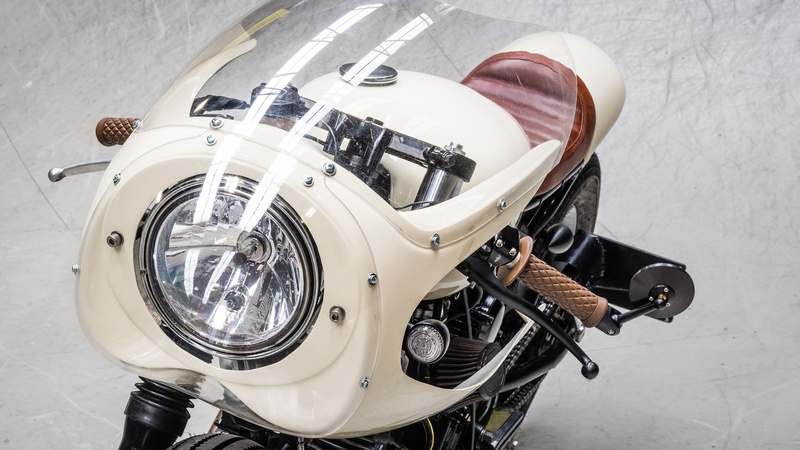 Today many riders have rediscovered the now relatively rare model, and it’s been given a second wind by top-tier custom motorcycle garages on both sides of the Atlantic, who typically strip the bike back to its engine/frame and toss the Basset Hound bodywork on the scrap heap. 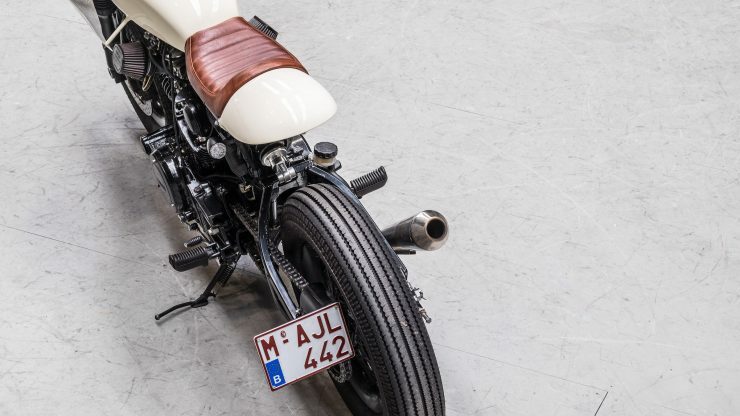 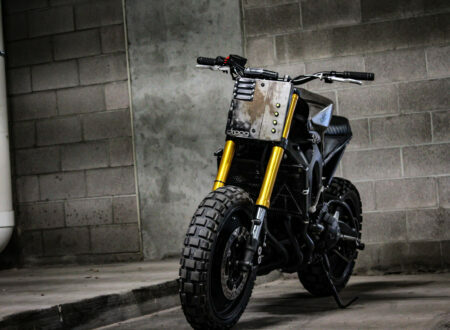 Moto Adonis is based in Roosendaal in the Netherlands, they’re a highly regarded custom motorcycle garage who focus on performance, functionality, and styling. 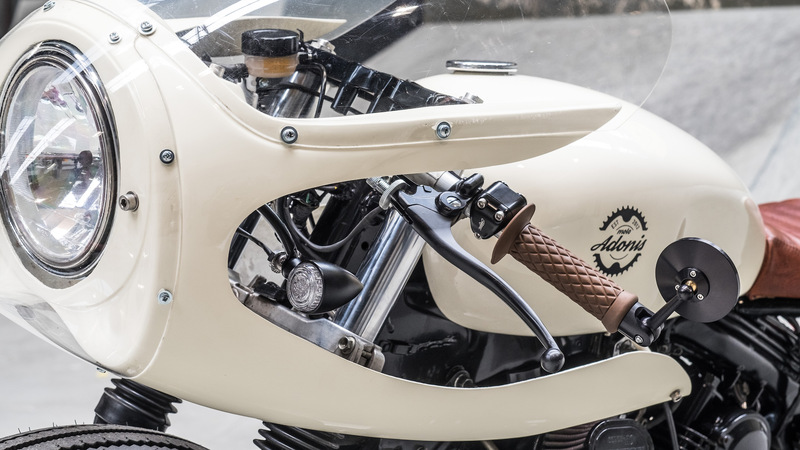 Builds typically undergo a full teardown with an inspection of all parts, and a careful design process where they work closely with the client to create the exact bike they had in mind. 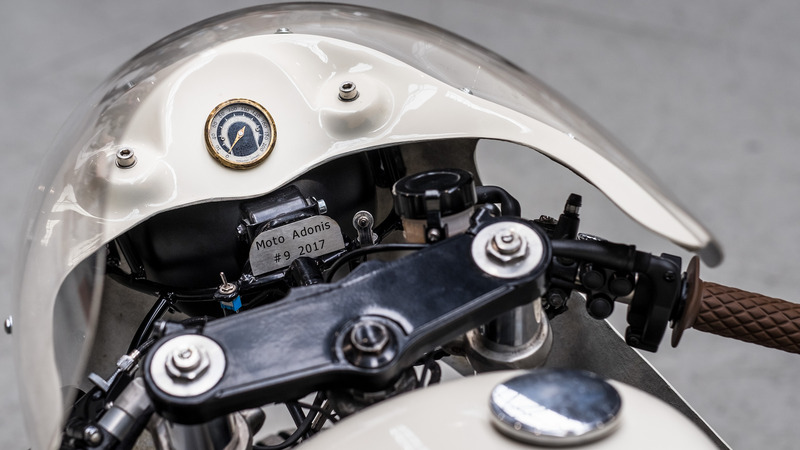 When Moto Adonis took on the TR1 they had a very clear mission – to take the bike apart and rebuild it in such a way that the original soul of the TR1 would remain intact, but also reference the British heritage of the core design. 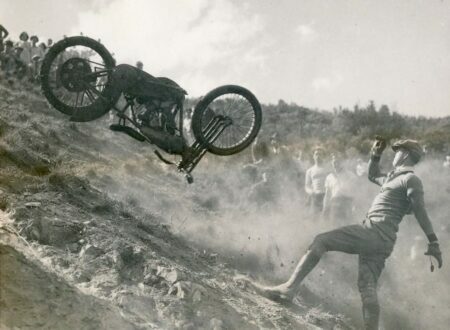 A tricky balancing act to say the least. Once the full teardown was done and the team could inspect the parts they made a few key decisions – a new subframe would be needed, as well as a new exhaust, triple tree, forks, rear brake, seat, tank, rear cowl, wheels, and fuel tank. A new handmade exhaust was the first order of business, shaped to carefully curve around the engine, frame, and engine side cover with a 2-into-1 set up and a single upturned muffler. 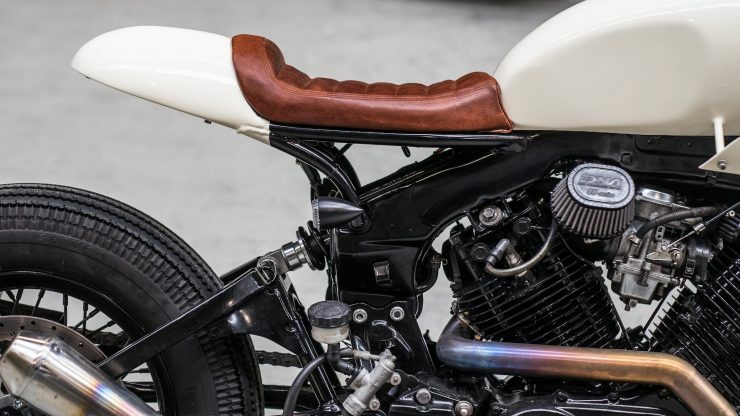 A new subframe was then fabricated and fit, capped off with a new seat and rear cowl. 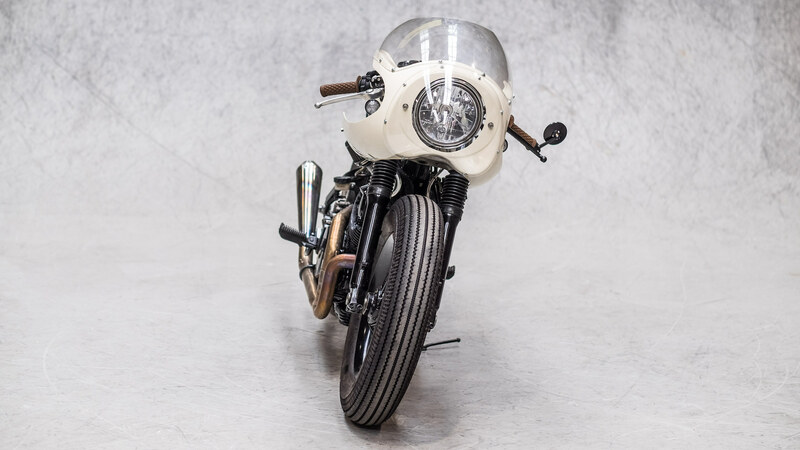 An original Rickman front fairing was fitted, and a Triumph Bonneville fuel tank was sourced and modified to fit. 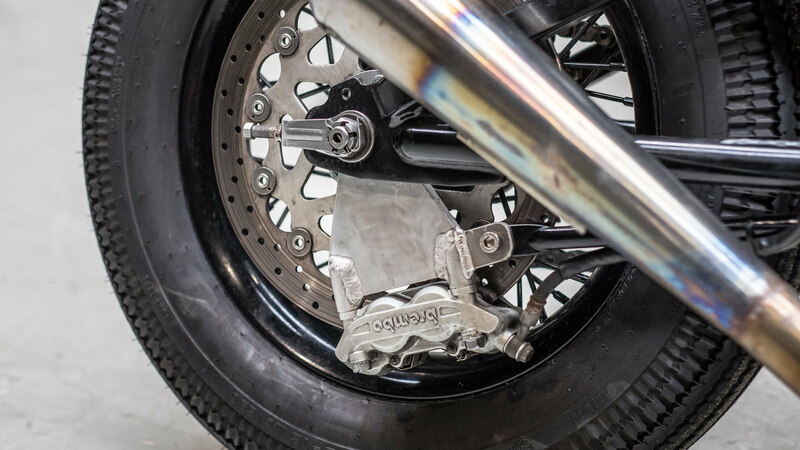 A pair of late-80s GSX-R forks were fitted upfront with a new triple tree, and a Brembo brake unit was fitted in the rear. Harley-Davidson spoked wheels were fitted front and back, shod with Shinko tires. 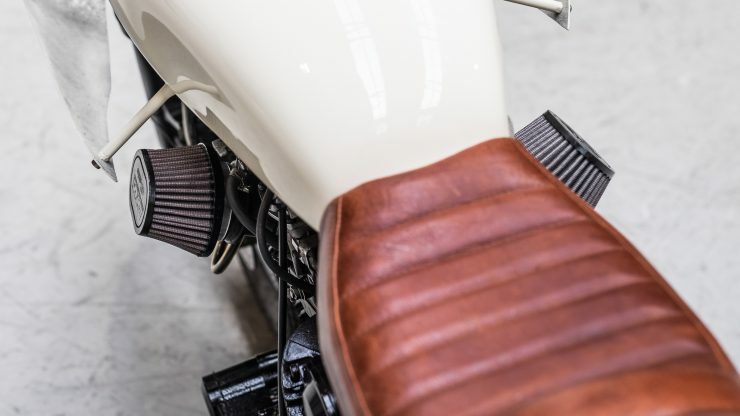 Moto Adonis chose three colors for the TR1 – Porsche Elfenbein Weiss (off white), black, and the copper of the leather seat, grips, and exhaust pipes. 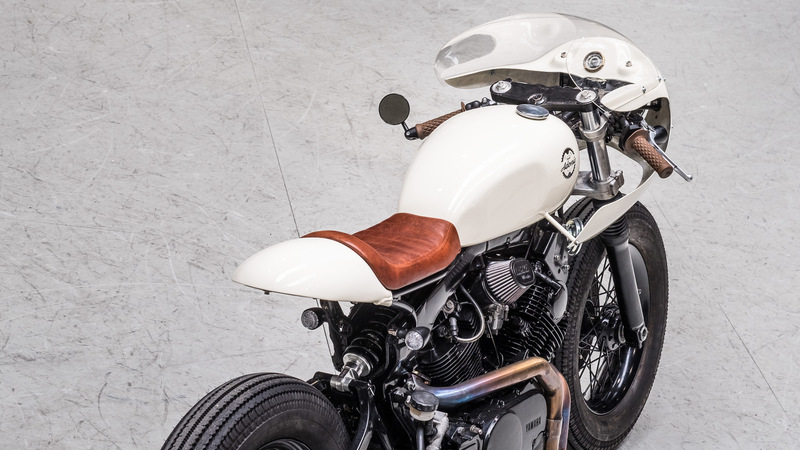 The completed bike is one of the most beautiful we’ve seen this year, and it sets the benchmark rather high for other builders who choose to take on a Yamaha TR1-based project. If you’d like to see more from Moto Adonis you can click here, alternatively you can follow them on social media below.